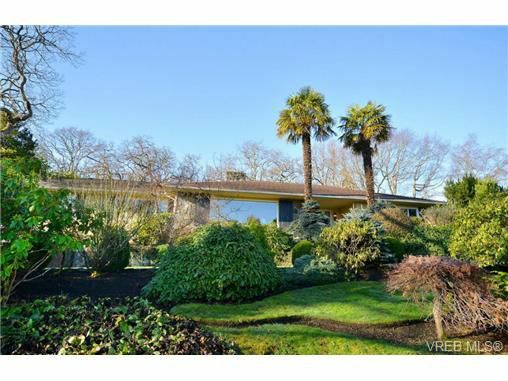 3220 Beach drive is located in Victoria's most prestigious neighborhood - Uplands Estates with beaches, parks and the Royal Victoria Yacht Club only steps away. This home is surrounded by gorgeous manicured gardens on an extremely private half acre lot. A well maintained 1950's home with over 4500 square feet of finished living space - 3 large bedrooms on main floor and 2 or possibly 3 more bedroom rooms downstairs. A very spacious floor plan with large rooms great for families and entertaining. French doors lead from the family room to the large west facing decks and private and sunny back yard. Excellent lower level with a rec room, 2 car garage and storage.